Current Officers and Committee Chairs can be found on our Contact Page. Our website address is: https://npufatlanta.org. NPU-F collects your name and email when you fill out our contact form. We do not gather other contact information through our website with the exception of our contact form. The information submitted via the contact form is deleted once we respond to the inquiry. Contact information may be included with documentation that is provided to us by City of Atlanta departments and agencies. We retain the documents but do not extract or use the contact information except as it relates to the specific application if we need to contact the applicant. This information is not stored on the website, but links to the online documents stored on City of Atlanta servers may be accessed through our agendas and/or minutes. NPU-F uses Google Analytics to track data on this website. If you want to opt-out across all websites you can use this browser extension provided by Google. publish information about you on the website with your permission. Where NPU-F discloses your personal information to its agents or sub-contractors for these purposes, the agent or sub-contractor in question will be obligated to use that personal information in accordance with the terms of this privacy statement. In addition to the disclosures reasonably necessary for the purposes identified elsewhere above, NPU-F may disclose your personal information to the extent that it is required to do so by law, in connection with any legal proceedings or prospective legal proceedings, and in order to establish, exercise or defend its legal rights. 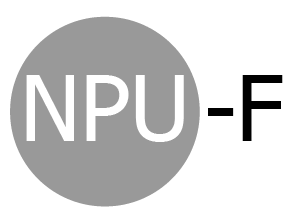 NPU-F keeps analytics records for a year, contact form entries are deleted once we have responded to the inquiry, typically within a few days. . This website is backed up on the below services. We use secured servers at Dream Host and add extra security on our website provided by iThemes Privacy to protect your data. Our customers will be notified if and when any data breaches occur that may affect them.